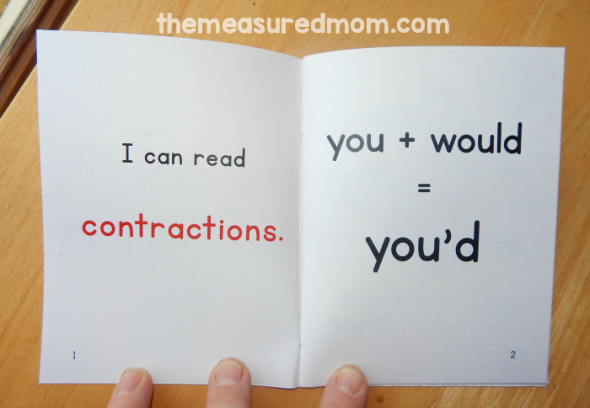 Are you teaching your students about contractions? They'll love these funny books that you can print for free! 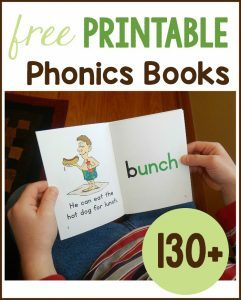 Teach kids about contractions with my new set of phonics readers! 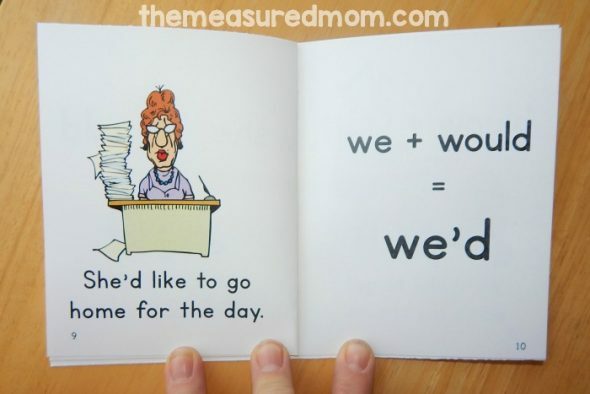 Are you teaching your students how to read and write contractions? 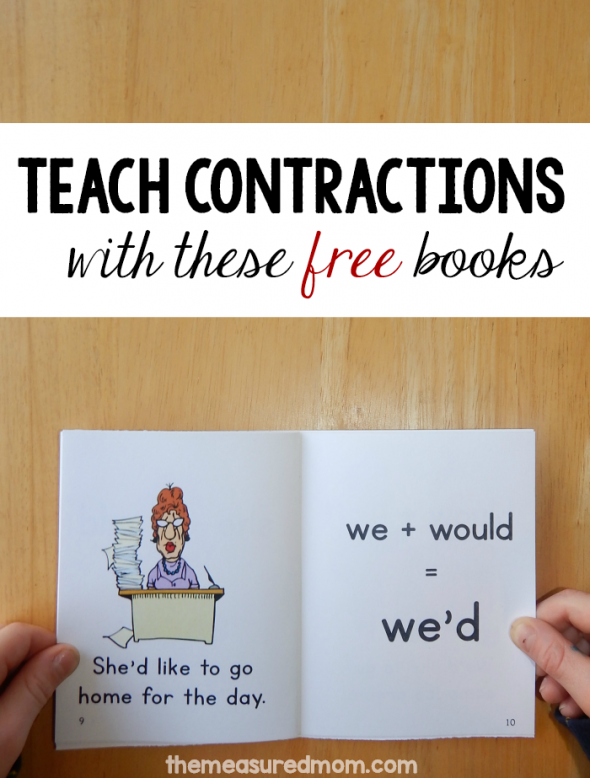 Contractions aren’t exactly a high interest topic, but these funny books will liven them up! These five printable books are set 18 in my collection of free phonics books. 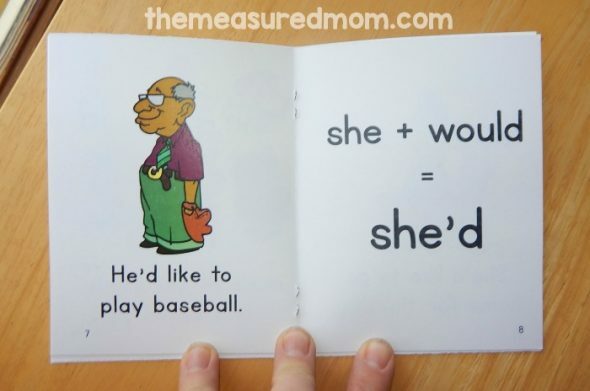 Use them with the rest of my readers, or use this as a stand-alone set when teaching about how words combine to make contractions. Each contraction is broken down into the words that make it. 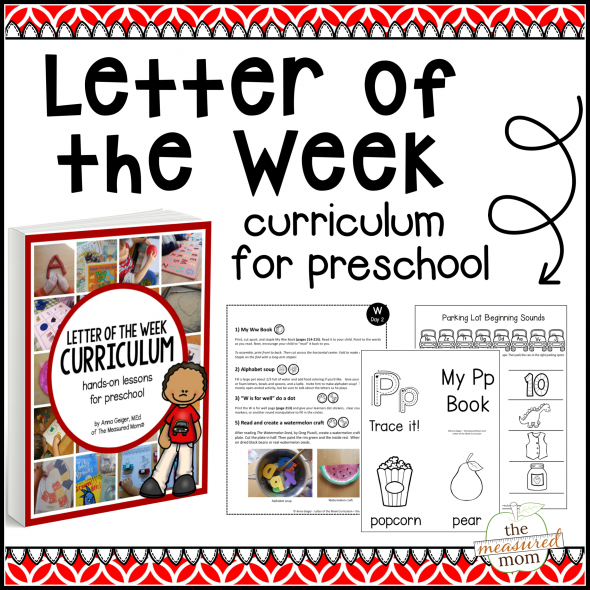 Your child will have the opportunity to review sight words we’ve learned our free sight word books. 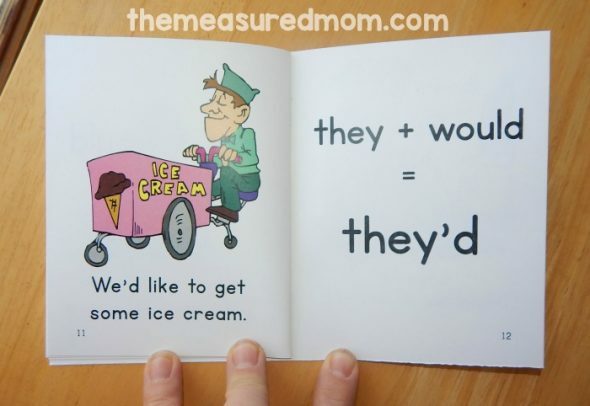 This page reviews the words I, bet, to, that, off, and would. This set of books builds on our previous phonics books. 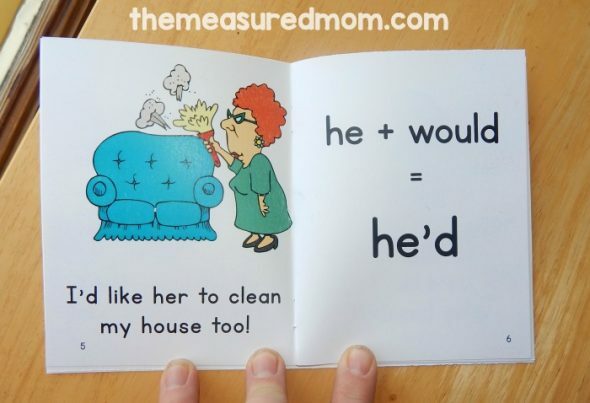 On this page, your child will review the silent e pattern (like), er (her), ea (clean), and ou (house). I just love this picture. I know how she feels! 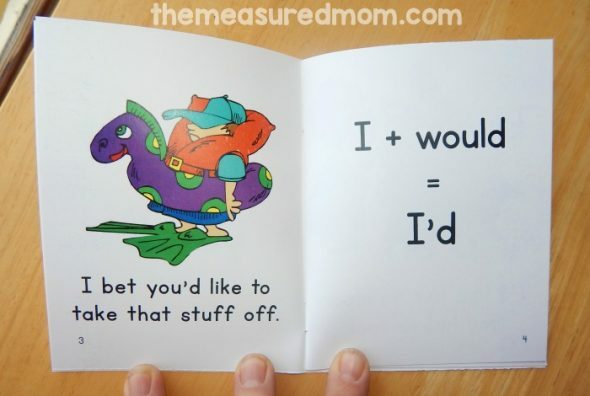 On the last page, your child will review all the contractions in the book. It says the page is not found….I have been able to print all of the short vowel books though. Thank you. Just printed these out and am excited to use them. 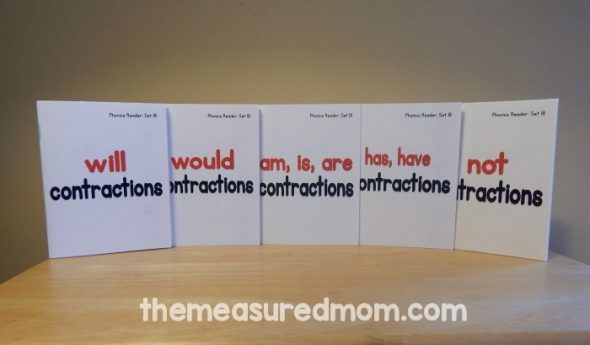 Though my son is in 3rd grade, I feel these will be helpful when introducing all the different contractions he will run into. Thanks for providing these. Hi, Amber! I’m so glad you’ll get to use these with your son! Thank you so much. Can’t wait to use them with my daughter. I have been trying to print the free contractions book, but it won’t let me. I have put my email address in four times and I still haven’t received the books. Thanks for listening. Can someone tell me how I can print the contractions book for free. I have not been able to get it. Thanks so much for your time. This is Kate, Anna’s assistant. I’m so sorry you’re having trouble! Occasionally we hear from teachers who can’t receive Anna’s files because their work email has a very strong spam filter. You might have success if you enter a gmail or yahoo address. Then you should check your junk/spam/trash/promotions folders if you can’t find the email right away. I did test the link, and it does work. I hope you give it another try and find success!